Now that it’s November, I’m starting to think about holiday decorating, family gatherings and lots of cooking and baking. It really is the most wonderful time of the year! And it’s approaching fast! How soon do you start decorating for Christmas? Normally, I try to wait until the day after Thanksgiving but I may break that rule this year. I'm considering fresh greenery in the house, too! It smells too good not to. Tips to make fresh Christmas greenery last longer: 1) soak your fresh garland in the tub for 20 mins or so to replenish moisture, 2) spray with Wilt Pruf and 3) let the garland air dry before decorating. 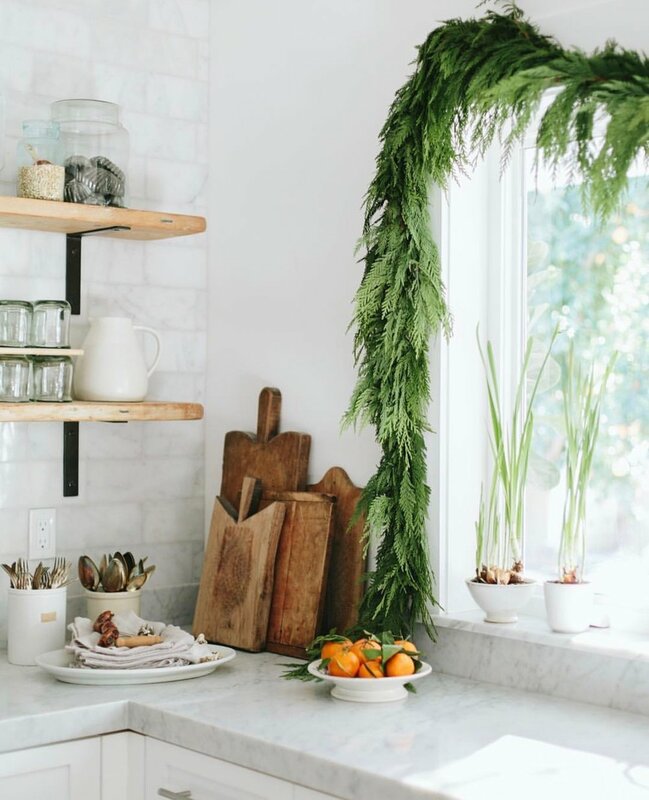 I love how Heather used fresh garland in her kitchen! Like, so much! M5 spice rub will make any savory holiday recipe even better! And at $10 a jar, it makes for a great little gift for neighbors and coworkers (or as a stocking stuffer). I love cooking with M5 spice rub - we actually finished our jar last night on some bone-in chicken thighs! Time to re-order!! 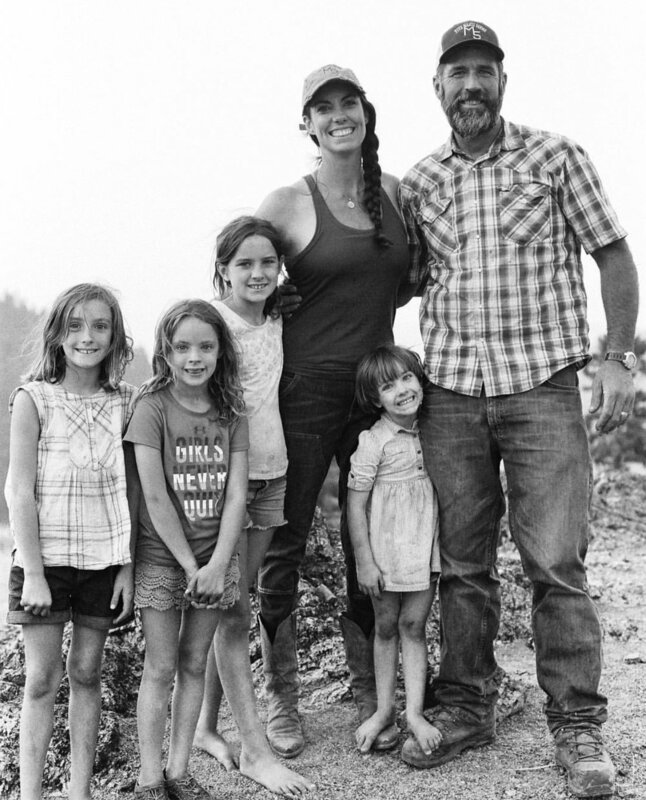 Be sure to follow Mary on Instagram, too (@fivemarysfarm). I especially love following her Instagram Stories for daily adventures on their family farm in California. They have an amazing company and an even better product - "Our products reflect our beliefs in respecting our animals, raising them with the utmost care and comfort and in feeding our customers only what we feed our family - the highest quality meats raised as naturally and humanely as possible." I’m beginning to put together a moodboard for our master bath renovation and this sink faucet is perfect to incorporate with different types of metals! It's pretty easy and makes a statement. But, I'll warn you, there is a right way and a wrong way to play with mixed metals - here is a quick tutorial from Studio McGee on getting it right! Hope you all have a great weekend! We don't have too much going on (which I'm not mad about). It may be the last "free" weekend of the year. Yikes! What do you have going on this weekend?